The partnership will allow TripHobo to integrate advanced flight search solutions for its users. Amadeus will also help TripHobo build new features to offer travellers innovative tools to plan a complete trip end-to-end, and mentoring for go to market strategy. TripHobo announces a strategic decision to join Amadeus Next, the Asia Pacific startup community powered by Amadeus, a global travel technology leader. The partnership will allow TripHobo to integrate advanced flight search solutions for its users. Amadeus will also help TripHobo build new features to offer travellers innovative tools to plan a complete trip end-to-end, and mentoring for go to market strategy. With Amadeus, TripHobo is aiming at becoming an online dynamic holiday packaging solution for travellers. 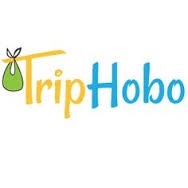 TripHobo has tied-up with Expedia, Zomato, Skyscanner & Booking.com in the past. TripHobo is the first player to offer flight bookings and flight comparison on its platform while planning a personalised trip, in this space. This also signals towards a consolidation in this industry. TripHobo has raised USD 450 k in angel funding and USD 4 million from Kalaari Capital till now. “Amadeus Next works with travel startups to evolve new and original ideas by using our technology, expertise and reach. TripHobo is a great partner; their trip planning solution addresses a huge gap in the market and has the potential to be game-changing for the travel industry. Amadeus hopes to be a part of TripHobo’s growth journey as a key enabler and advisor,” said Simon Akeroyd, VP, Corporate Strategy and Business Development at Amadeus Asia Pacific. TripHobo’s continuous endeavour has been to create a full stack dynamic packaging solution for its users with flights, hotels, restaurants, activities, tours and transportation. Working with Amadeus Next brings Triphobo closer to achieving this goal. What does Amadeus Next offer startups? Technology: Access to Amadeus’ technology and solutions to build and validate the Minimum Viable Product, as well as leverage decades of experience in travel technology. Expertise: The ability to work with Amadeus experts to incubate and validate new ideas and businesses, as well as mentoring and guidance to navigate their way to success. Reach: Connect to the right network to test, validate and pilot new business models with Amadeus customers and industry players. Funding: Introductions to investors and venture capital around the world. Globally, Amadeus also has a dedicated Amadeus Venture Fund which offers early stage minority investments in startups.